The management consultant Nils Cornelissen was already a valuable companion, consultant and supporter, when we launched the Visionautik Academy around 10 years ago. Now he is also involved in our new Visionautics and Pioneer of Change course, launching in September. 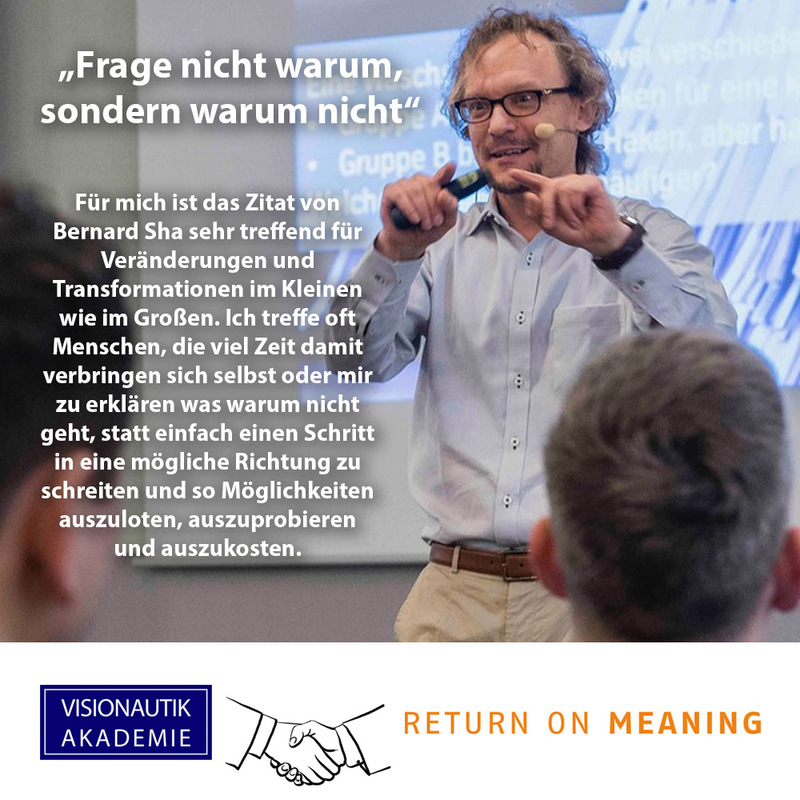 With over 13 years of top management consulting experience, including acting as senior expert at McKinsey and Managing Partner at Return on Meaning, he provides prospective visionaries and Pioneers of Change with expertise and experience on topics such as cultural change in organizations, leadership, talent and performance management and coaching. Learn more about Nils Cornelissen here. Become Visionaut or Pioneer of Change - join the Transformative Leadership and Co-Creation learning process.